A big move in the world of the NFL occurred last week. That move was ignited by the Kansas City Chiefs. The Chiefs agreed to send their quarterback, Alex Smith, to the Washington Redskins for cornerback Kendall Fuller and a third round pick. This trade leans towards Kansas City’s benefit. They not only cleared $17 million in cap space with sending Smith off, they ended the quarterback debate. It is now Patrick Mahomes time. Mahomes was selected 10th overall in last year’s draft and started one game last season. He is now 1-0 as a starter. As both teams are happy with what they received, there is one uncertainty still remaining. 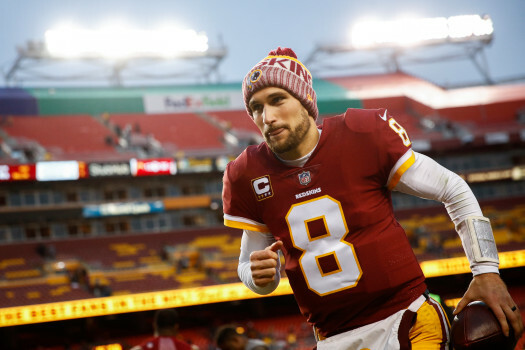 Where will Kirk Cousins be playing for the 2018 season and beyond? Kirk Cousins had a pretty steady career with the Redskins. He went 26-30-1 in Washington while throwing for 16,206 yards, 99 touchdowns, and 55 interceptions. He also led the Redskins to two playoff appearances, one in 2012 and the other in 2015. Kirk Cousins’ numbers aren’t the greatest, but he still is one of the most consistent quarterbacks in the NFL today. At the age of 29, he still has some decent years ahead of him. The Redskins front office has never been high on Cousins. Not due to his character or ability, but they expected that Robert Griffen III would’ve been the one to carry them to the promised land. Especially with the money they were paying RG3, the praise never came to Cousins. Once Cousins lead them to a playoff appearance, the skepticism never left. With this recent trade, Cousins has a shot to play for a team that will value him. But, there will be a hefty price to whoever wants to take him in. These teams are just a few on the radar for Cousins, but at the end of the day, who knows who will spend some dough for him. Oh no, another quarterback that will fall victim to the Browns. With lots of cap space, they could be able to outbid any other team for Cousins. Not to mention, they were also trying to get Alex Smith to be a Brown before the trade. However, with a few new members in the front office, we could see some coaching switches. Head coach Hue Jackson plans on staying, but maybe new offensive and new defensive personnel may turn things around. And by turn things around, that means a win or two. 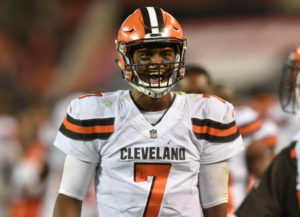 Although the Browns may be able to meet Cousins’ price demand, there isn’t much else that is appealing about this team. A lot of young players with potential, but that is all you can look forward to. If Cousins other deals fall through (which they probably won’t), we could see him joining this team and having quite a bit of money to take to the bank. The Jets are coming off a pretty surprising season. One thing that stays uncertain, is the quarterback position. While Josh McCown had a solid year, he is also 38 years old, and will be 39 before the season starts. And with former quarterbacks in Ryan Fitzpatrick, Geno Smith, and Mark Sanchez, the Jets have yet to find a stable option. The money is there for New York, but is the potential? 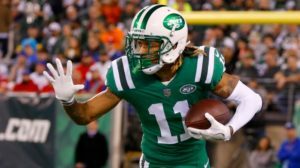 Jets wide receiver Robby Anderson had a remarkable year, having 64 receptions for 941 yards and 7 touchdowns. That is about it, and not much else. 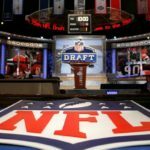 With that being said, we could see the Jets draft a quarterback, as they hold the number six pick in this year’s draft. 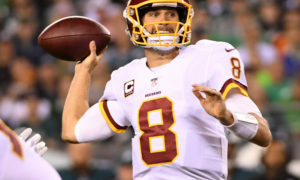 There is a little hope in Jets fans that their new quarterback will Cousins, but more are banking on getting their next franchise quarterback through the draft. Drafting a quarterback has a lot of more pros than cons. One HUGE pro, is that it is a LOT cheaper than the deal that Cousins will be wanting. I see the Jets being in the middle of Cousins’ list of future destinations. 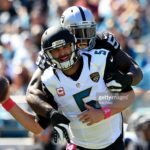 Will the Jags pull the plug on Bortles or not? Many fans think so, but there are some experts saying one more year to prove himself wouldn’t be a terrible idea. The thing is, at quarterback, a offseason can do a lot of good for them. A little time to rest, to improve, and to get more comfortable. Well, Bortles is running out of time to become comfortable, which is why we could see Cousins take his spot. 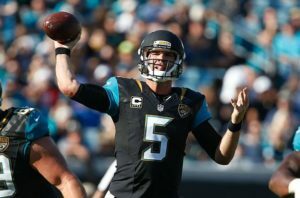 Although the price tag may be a little much for the Jags, they could be major contenders in the AFC next season. Imagine if they had Cousins going against that Patriots defense in the AFC championship. If Nick Foles can put on a fantastic display, it is pretty safe to say Cousins could do the same. This destination shows a lot of promise, probably the most, if not, a close second. Why? Well the stout defense will be back, and with lots of anger. The future is bright in their receiving core. And Leonard Fournette started to show some flashes of greatness in his first season. If Cousins wants to immediately make an impact, the Jags look like a promising place to play. The only thing he will have to worry about, is if the organization is willing to match the price. Another New York team with quarterback problems. What’s new? Although Ben McAdoo is no longer the Giants’ coach, there is still uncertainty on how this team will be. With a flashy receiving core, having Odell Beckham Jr. as the star, Cousins could have some reliable weapons. However, none if this happens if the new coach will play Eli Manning. Insert Pat Shurmur, former Minnesota Vikings offensive coordinator, now Giants’ head coach. We should expect Eli Manning to make a statement next season. Especially with a crafty play caller in Shurmur. Lots of things have to go Cousins’ way if he wants to head to the Big Apple next season. The Giants could have a stout offense, but lots is still to be desired from the defensive side of the ball. Especially in the secondary. The Giants could make this happen if Manning isn’t their guy anymore. But, all signs are pointing towards Manning being the quarterback for the 2018 season. 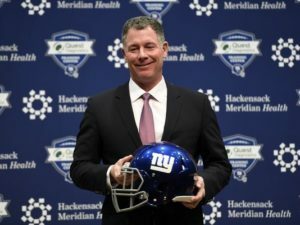 New head coach of the Giants, Pat Shurmur, poses for a picture on his first press conference in New York. The story that is Case Keenum is one that Vikings fans will tell for generations to come. However, there is still much speculation on how certified Keenum is for the job. This debate is a little more complex, however. Teddy Bridgewater is a free agent, and so is Sam Bradford. All 3 quarterbacks have contributed mightily to the Vikings in the past 3 years. The Vikings are more likely to sign Bridgewater or Keenum, as Bradford’s injury ridden career seems to bring more risks than rewards. Although quarterback position is still uncertain, the surrounding pieces are still quite promising. With Stefon Diggs and Adam Thielen at wide receiver and Kyle Rudolph at tight end, Cousins will have a number of weapons. The line is much improved, and not to mention, Dalvin Cook will be returning next season after suffering a season ending injury in 2017. Cousins could fit right in. ‘Could’ is the key world, because the Vikings have yet to name an offensive coordinator, as Pat Shurmur is now the head coach of the Giants. Money will be tight for the Vikings, but Cousins could be the missing, reliable piece they need. Some names other than the ones listed are the Arizona Cardinals, Denver Broncos, and the Miami Dolphins. Lots of teams has Cousins on their radar, but does he have them on his? 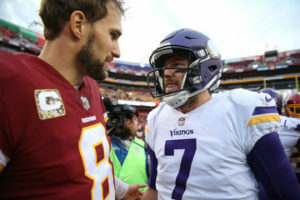 According to KFAN broadcaster Paul Allen of Minneapolis, Minnesota, some reliable sources have informed him that Minnesota is at the top of Cousins’ list on locations where he wants to be next season. 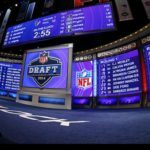 We may find out soon, and possibly after the draft. The draft could play a huge part for the decision of Cousins. Even though the rumors of him wanting to join the Vikings, we could see the Jets as the front runners, as of now. Whoever lands the purchase of Kirk Cousins, they will have a stable player at the quarterback position. As they should, thanks to the hefty price that will come with him.